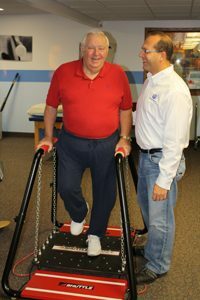 At MTI, we offer our proven therapies approach to restore function and mobility to our patients that face these diagnosis’s and help to educate you and your family about the path we will take to restore you to your activities. At Michigan Therapy Institute, our Physical Therapists have helped thousands of people with many types of Neurological Conditions. We can help you too! Tell your doctor that you prefer to have your therapy at Michigan Therapy Institute, a highly reputable, well-known clinician privately owned clinic, where you will receive one-on-one effective and compassionate care, all of the time, unlike a hospital, where you may be treated as a number. 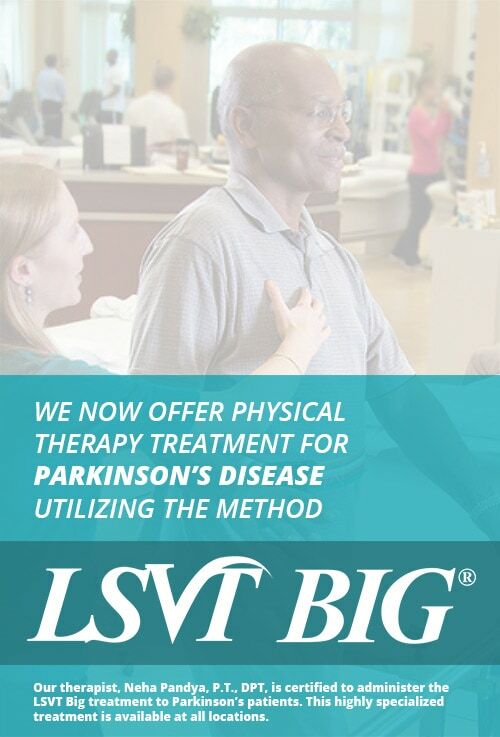 Check out our specialty service: LSVT Big. Ready for assistance with your neurological condition?